Sounds like a fun story. One of my nephews loves trucks. I might get this for him. It's an excellent choice, Natalie! This is a great book about trucks. My great grandson has just become interested in them. Like the teamwork theme. We have a son that drives a big rig. My storytime kids loved this one! It's hard to go wrong with a lively rhyme and construction vehicles! Well done! 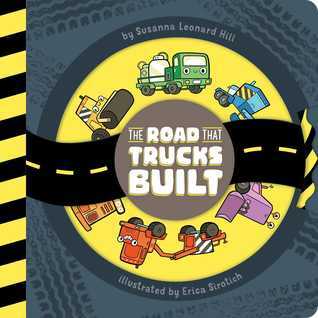 It's a really good book for little truck-lovers! Andrea, I love this book. The cover is so ingenious as well. There are a lot of "truck enamored" happy kids out there. Isn't the cover great? So much fun! It's a perfect book for all the little builders in my classroom!